Sports and coolers go hand in hand in this fun cooler that shows off the sport you love! Keep your drinks cool at the game or anywhere! 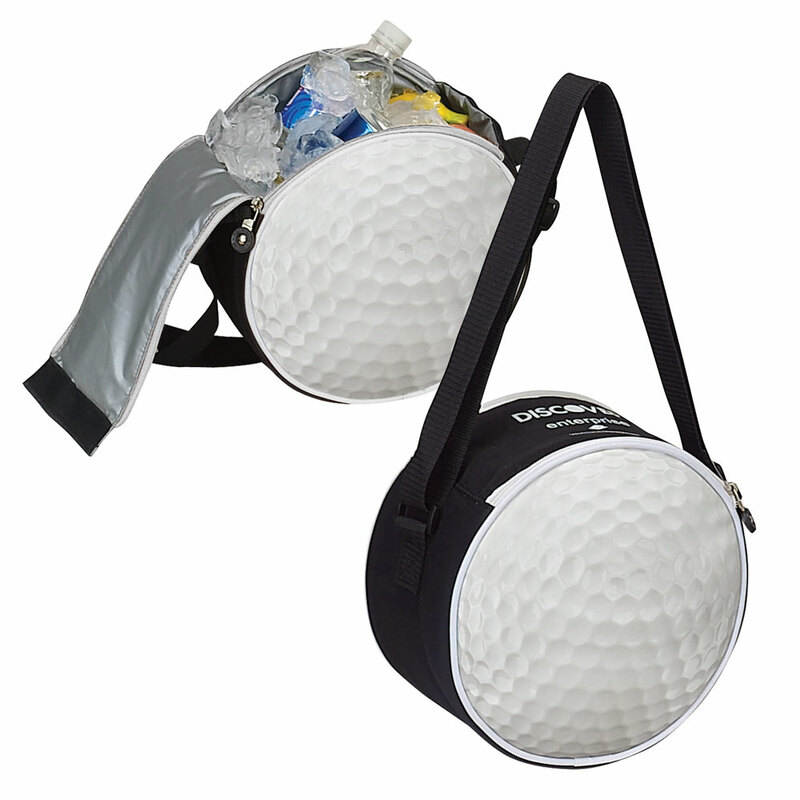 Holds up to 8 cans and features double zippers at the top for easy access. An open pocket in the back for changes or tickets. Made of 600d polyester with heat sealed PEVA lining. Pack Info. : 24 pcs / 27.00 lbs. Pack Note: (Dimensional Weight) / 16 lbs. (Actual Weight) / 21" x 19" x 11"